Stay Mobile: SmartScoot Your Way Anywhere! Waiting in lines. Walking through airports. Shopping for groceries or even strolling through the park. These activities are not always easy, even for a fairly mobile person – but they can be with the help of SmartScoot.SmartScoot is a lightweight and foldable scooter for someone who leads an active lifestyle, but may need a hand getting around from time to time. It is easy to use, easy to fold, and most importantly, easy to transport and store. Weighing only 40 pounds when fully assembled, SmartScoot can break down into smaller and lighter parts and will comfortably fit into almost any vehicle trunk, allowing you to take it anywhere. With up to 12 miles worth of battery power in a single charge, SmartScoot will never leave you in a bind.SmartScoot incorporates comfort into its design with an adjustable seat and steering column that can accommodate almost any body type. 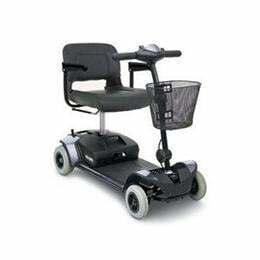 Adjustable rear wheels also add an extra touch of stability to your ride.Sometimes a little help can go a long way. With SmartScoot, tasks that were once a struggle can now become a stress-free part of everyday life. Easily breaks apart into 3 sections with lightest section 25lbs. No tools required. 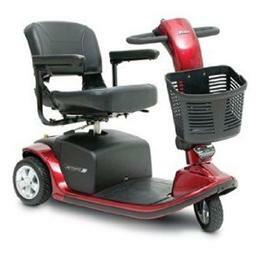 Adjustable steering column and seat accommodates any body type without compromising comfort or safety. Stainless Steel Frame – light weight and rust proof. Front wheel motor – no belts or exposed parts improves steering of the Scooter. Front Disk Brakes – strong stopping ability on wet surfaces or declines. 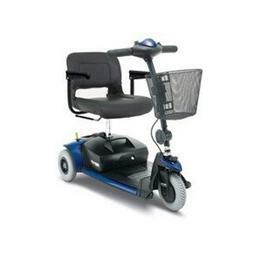 Padded Footrests and Seat – creates a very comfortable ride.